The most direct climb/route starts from the small valley extending inland from Olden, a small tourist village in Nordfjord right next to Loen. One can start at the farm Sunde in Olden and ascend Sundsdalen up to Foraegga (1642 meter) at the edge of Jostedalsbreen. 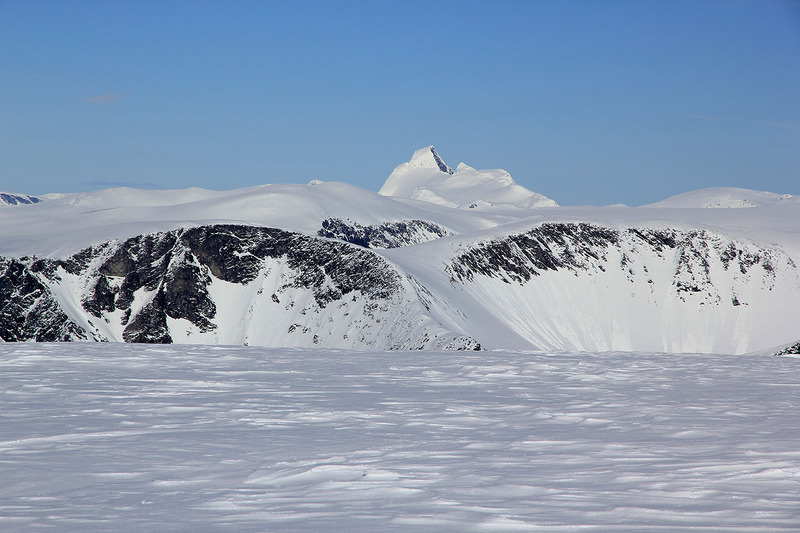 Form here, ski northeast to Gjerdeaksla. 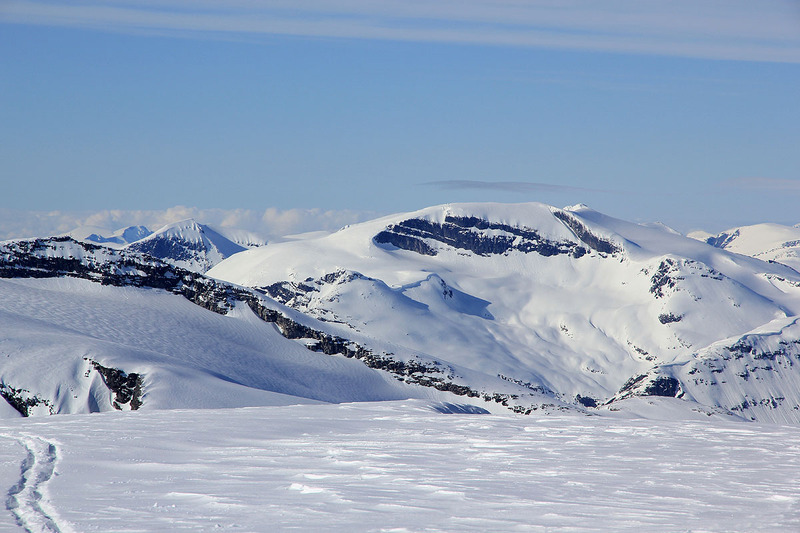 Note that this mountain has two distinct summits, almost of equal height. In fact, the northernmost summit may be slightly higher. 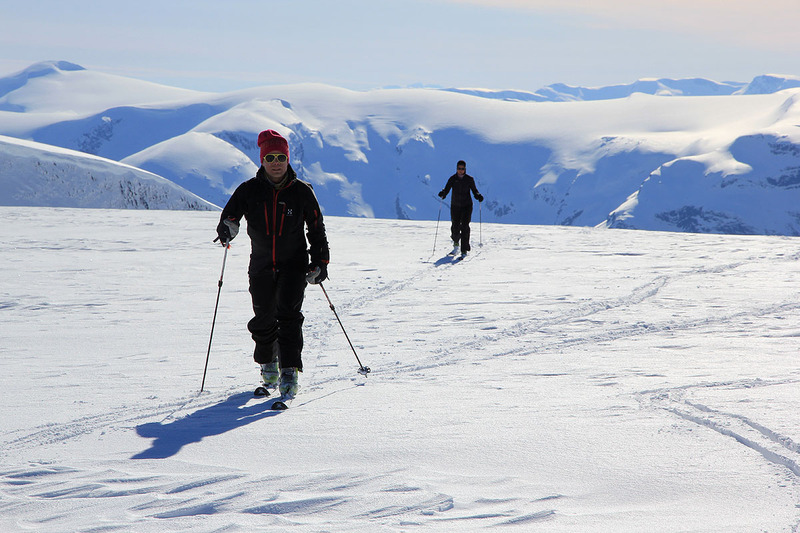 Ski to Kjelkevarden (1717 meter), turn around on the south side, then ascend north and slightly east of north to the first summit of Gjerdeaksla. 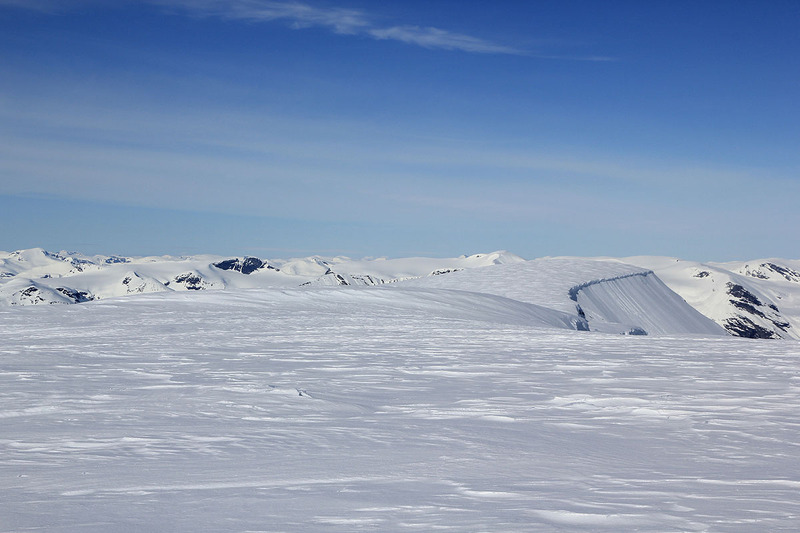 A saddle that is 50-60 meter deep, separates the two summits. The slopes are easy and the terrain is very friendly. The next summit on this trip is Strandanibba. 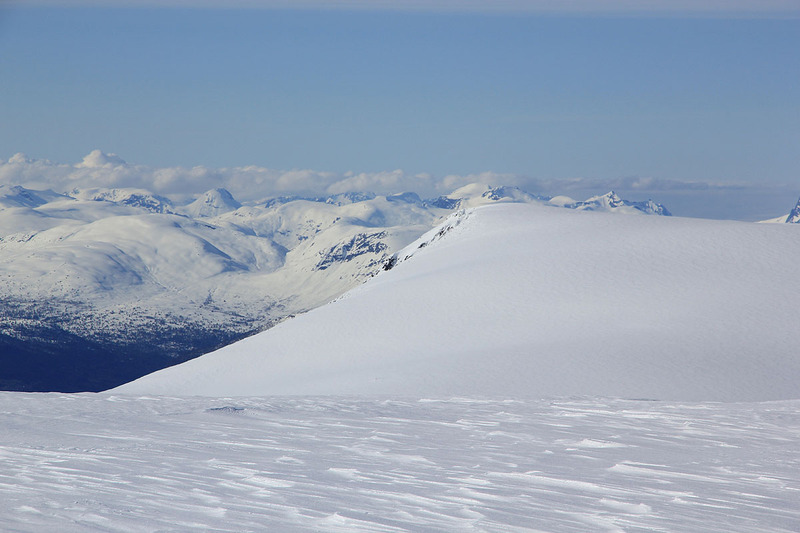 I climbed this peak as part of the Loen Rundt ski trip, that I organized in 2012. 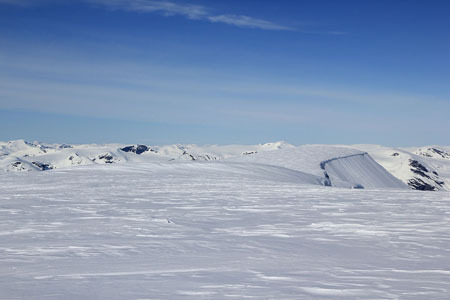 Lodalskåpa, as seen from Gjerdeaksla.